Recently, a scientist in the UK was interviewed (Scientist Installs Virus-Infected RFID in His Body) about his work with malware-infected RFID devices implanted in humans. There is no discussion in the video about the difficulty involved or how input validation techniques can easily defeat any real attack against a person or a group of people. So this ended up being just one more way to scare the hell out of people for no good reason. The password debate never ends. Instead, it seems to be increasing in intensity. The problem is the use of passwords isn’t going away anytime soon. The cost of replacing passwords with a more secure access control method is typically too high, making it impossible to sell related projects to management. Even the use of strong passwords is often regarded as either less secure—because users inevitably write them down—or a hindrance to productivity. However, there may be a middle ground which can help bridge the timeline between password use and multi-factor authentication. Before jumping into the how-to part of this article, I want to look at how security professionals view password risk and related management. A recent post in the SANS Internet Storm Center Diary, along with reader posts, sums this up pretty well. None of these four scenarios becomes less likely if you change your password every 90 days. If the bad guy can’t break the password hash (c) within a couple days, he’ll likely just look for an easier target. Attack (b) is also out for quick wins – either it works within the first couple dozen passwords tried, or the bad guy moves on to easier prey. If (b) or (c) are successful, or the attacker already has the password through (a) or (d), 45 days on average is more than enough to empty out your bank account or use your email address for a big spam run. No, this doesn’t mean you should throw up your hands, assign the same simple password to all your accounts, and hope for the best. If you can use a second authentication factor, if your organization or you can afford it for work or personal use, then implement it. If not, I may have an alternate safeguard. First, this is not an original idea of mine. I heard Steve Gibson discuss the concept on a Security Now podcast. However, I’m taking it a bit further by extrapolating the concept into a complete solution. I am not a proponent of strong passwords. Users write them down or forget them, causing either security audit or productivity issues. I also agree with Wesemann and his readers that changing a password frequently isn’t a good way of protecting personal or organizational assets. So I combined the use of random passwords with a memorable passphrase to develop a process I believe solves most—not all—problems with passwords. Obtain a 13 character random password. I used Steve Gibson’s random password generator for my example, and selected GSD6BtvzM4A0j. Use the first character of each word in the phrase to arrive at an initial series of characters. In my example, this works out to EDILBAB. Change one or more of these characters to make the string a little harder to guess. 3D1LB+B. Enter the 13 character random password into a text file and memorize the 7 character string from Step 4. We now have two factors for authentication—something we have (GSD6BtvzM4A0j) and something we know (3D1LB+B). Combining these two character strings into a number of different passwords is easy. Go to one of your password protected sites. I used my bank. Copy the 13 character string from your text file and paste it into the new password field. Insert your memorized 7 characters into the 13 character string. I decided to insert it in the second character position, coming up with G3D1LB+BSD6BtvzM4A0j as my 20 character, sort-of random, password for this site. Record the site and the character position in your password text file. I list three password insertion points in Figure 1. Note the Bank location is 3, not 1. I inserted another layer in the process by adding 2 to actual insertion points. This probably isn’t necessary, but I’m more paranoid that most. Each time I step through the new/change password process, I try to select a different insertion location. Yes, I will quickly run out of insertion points. However, I will still have 14 strong passwords instead of one. If every time I log in I copy and paste the 13 character string into the password field, most of the password is unreadable by typical keyloggers. The only portion of the password a keylogger would see is the 7 memorized characters as I enter them. Brute force attacks against those sites or networks without a maximum number of incorrect attempts set are very difficult when using passwords of this size. In fact, the work factor required to crack my sample password should be high enough to deter anyone from getting to any data my computer or sites might have to offer. This also solves the problem of strong passwords, since we are actually recording the hard-to-remember part of the password. 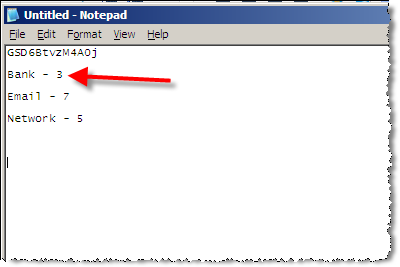 The final step is safely storing the text file with your password fragment and insertion points. The easiest way I found of both protecting the file and having access to login information wherever I go is to use a TrueCrypt protected USB memory stick. I use a long passphrase which I never use for anything but accessing mobile TrueCrypt data stores. An attacker would have to gain physical access to the device to crack the password. There would be plenty of time between the time I lose my USB device and the cracking of the encryption (if ever) to allow me to change my passwords. A recent breach of a PayChoice Inc. server is evidence that organizations must provide overall controls, not just those targeting popular attack vectors. Chris Wysopal, chief technology officer at application security vendor Veracode Inc., said the breach is interesting because it shows that hackers are looking for targets other than credit card numbers and social security numbers to steal. “The market is saturated with [stolen] credit card data,” Wysopal said. A credit card record that was worth $10 in the underground in 2007 today can be had for about 50 cents, he said. As a result cybercrooks looking to monetize what they are doing are moving up to higher value attacks where possible, he said. In this case, the hackers appear to have been trying to install keystroke loggers to get information that would have allowed then to access online banking accounts of PayChoice’s customers, he said. “That is where they would have got tens of thousands of dollars,” had they been able to pull it off. This is an example of why security professionals must continue to protect ALL sensitive information regardless of what pops up in the media. Overall protection requires continuous marketing by security for management buy-in at all levels. Organizational role changes are common. People are promoted, move from one department to another, or responsibilities change for the roles they’re in. The result over time, commonly known as permissions creep, is a bunch of user accounts for which least privilege and segregation of duties no longer apply. The solution is a documented and aggressively followed job change process. First, let’s look at the issue of job changes. A job change process should use an authoritative source, such as your human resources system, to track role changes. If you assign a job code to each employee based on his or her position, then this is pretty easy. One approach is to compare a nightly extract, including employee ID and job code to the previous night’s run. A difference in job code indicates a change in position. If your HR system produces a report listing job changes, then you already have what you need. Some admins might simply reverse access based on the original role. This is not effective, especially for an employee who’s been around a few years. Exceptions to base access settings may have been added over time as the employee’s manager added additional responsibilities not commonly given. Changing responsibilities causes problems, particularly when an employee’s job never changes and the job change process isn’t invoked. If you have employees who have worked for your organization for many years, especially those who demonstrate the ability to perform a wide variety of tasks, they have probably been given special permissions in addition to those approved for their organizational role. These exceptions were likely approved by a data owner and are on file for the auditors. So far, so good. However, the dynamic nature of business inevitably shifts these responsibilities around, removing the need for access but not the actual access itself. Dealing with permissions creep caused by variable responsibilities over time requires actual reviews of employee access. Schedule periodic reviews by data owners, managers, etc. Use the results of these reviews to adjust access to reflect employee job responsibilities today. Finally, there is the question of location. For non-healthcare organizations (HIPAA free), this might not be a problem. However, when you have to manage patient information visibility based on role and location, access reviews take on an additional dimension. Make sure reviews and job changes take into account where the employee is working and adjust need-to-know controls accordingly. Managing permissions creep isn’t exciting, but it is a necessary part of securing information assets. Today I tried to load and activate VIP Access on my iPhone. 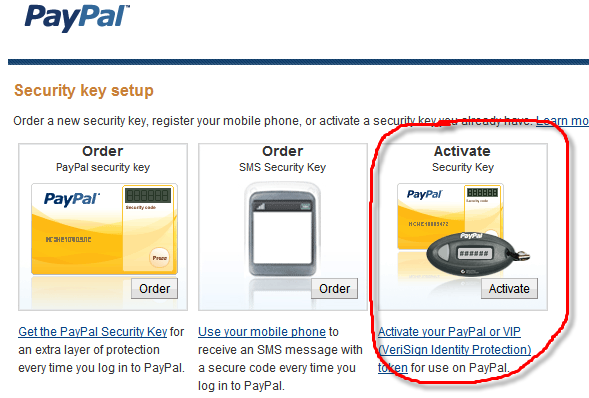 The app loaded OK from the app store, but finding the page on PayPal where I could activate it was another story. For those of you out of the loop, VIP Access provides a means to use your iPhone as a second authentication factor. When installed, the software provides a different six-digit code every 30 seconds. 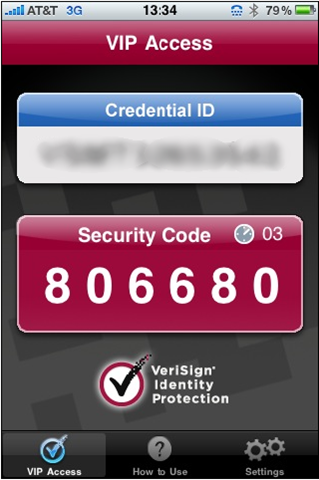 This code is used to verify your identity at sites supporting this VeriSign identity management technology—like PayPal. See Figure 1. Installing and launching the free software on my iPhone 3GS was easy. The first screen included a video and other information about how to use the service. So, having lost my VIP “football” for PayPal, I was anxious to try this out. That was where the fun began. There are no references to this service on PayPal. Neither searching nor browsing turned up anything useful. Finally, I searched Google and found someone who had solved this lack-of-information challenge by actually sending a message to PayPal. It turns out VIP Access activation uses the same link used to activate the VIP token, as shown in Figure 2. In the activation form, enter the VIP Access Credential ID into the Serial Number field. The rest of the form is self-explanatory. After jumping the activation hurdle, everything worked as advertised.